At the Stuart C. Gildred Family YMCA we offer programs in Youth and Teen Activities, Sports & Recreation, Health & Well-Being, Family Activities, Childcare, Camps, Aquatics, and Active Older Adults. 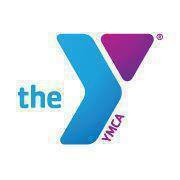 “Like” us and be a part of a community committed to Youth Development, Healthy Living, and Social Responsibility. You’ll find so much more than weight rooms, gyms & pools – when you join the Y you belong to a community committed to strengthening communities through youth development, healthy living and social responsibility. From programs that support personal well being, to child care, to community volunter opportunities, no other single membership provides so many ways to strengthen your Spirit, Mind, and Body. Financial Assistance, made possible by private and public support as well as YMCA members, makes a healthy lifestyle available for everyone.